What an awesome idea! Is there a pattern or DVD or?? 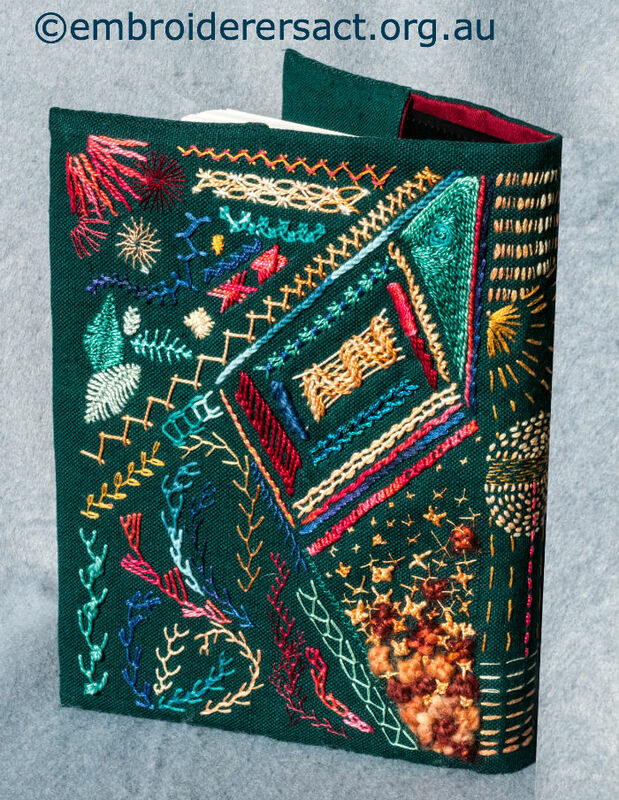 This was an original design of the maker, from an internal course where members learned or relearned basic stitches and their variations, and used their own imagination – kind of a cross between samplers and doodling with a needle and thread!